January is always a good time to take stock of where we are. On cold days I am particularly grateful that last spring I stacked enough dry firewood for this winter! It was another warm December. My Brussels sprouts lasted till last week, and kale is still surviving under glass. 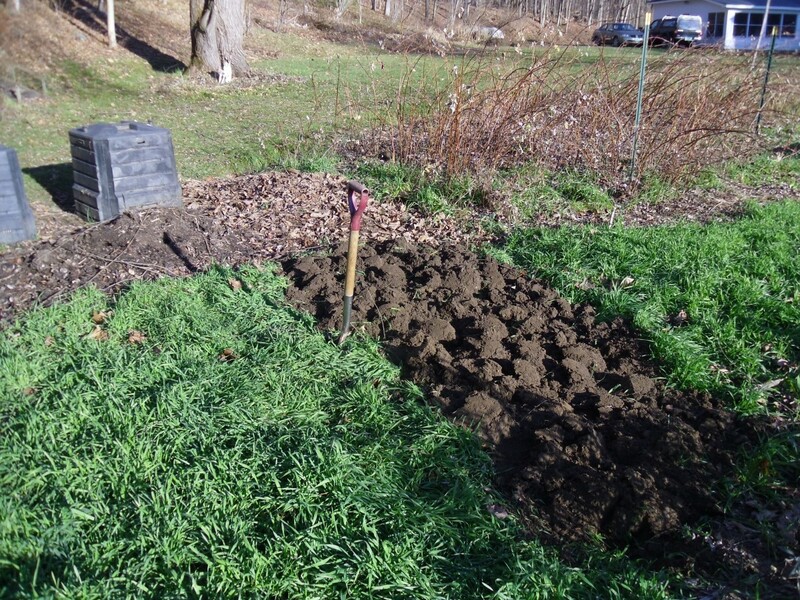 By the winter solstice, my rye cover crop had grown so tall that I started to turn it over with a spade, because the soil was not yet frozen. 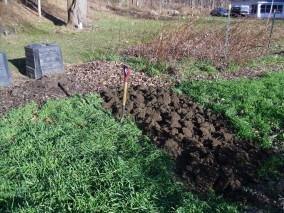 I was still able to dig as late as Jan. 2 before the real freeze-up for the winter came. These freeze-up dates for both soils and small lakes are important markers for our winter cold season, which is shrinking by about one week per decade climate warming. As the Arctic and Canadian ice melts, less sunlight is reflected — which speeds the warming and causes more water to evaporate. The moister atmosphere traps more of the Earth’s heat. Both processes are accelerating the warming of northern latitudes. Another global climate conference was held in Durban, South Africa last month, but there was no action to reduce carbon dioxide emissions. Global CO2 saw the largest jump on record in 2010. The gulf between climate policy and climate science has widened further. One commentator from the journal Nature remarked that the climate train has left the station, and the politicians were left behind. A new round of negotiations known as the Durban Platform will attempt to draft a new global climate agreement by 2015, binding on all nations, with an implementation date of 2020. So although there was some recognition that one day we will have to do something, action was deferred till the end of the decade. Since we are already two decades late in reducing our fossil fuel use, this means that adaptation for the Earth and our children will become still more difficult. There were some local efforts around the globe. Australia followed Europe and introduced a small carbon tax, aiming for a tiny 5 percent cut in carbon emissions by 2020. The European court upheld an EU airline carbon emissions tax in the face of opposition from US, Canadian and Chinese airlines, and this modest tax began on Jan 1, 2012. It is a measure of how greedy, self-centered and self-destructive our societies have become that these baby steps in the right direction are met with great opposition. The U.S. House of Representatives passed a measure two months ago directing the U.S. transport secretary to prohibit U.S. air carriers from participating in the EU scheme if it were to become reality. The new Vermont Comprehensive Energy Plan is encouraging. It calls for the state to satisfy 90 percent of its energy needs from renewable sources by 2050, largely eliminating its reliance on fossil fuels. This will require a steady push towards much greater energy efficiency, especially in transportation, home heating and electric use. It will not be easy, but at least the state is heading in the right direction. But the real climate news of 2011 was that there were 32 extreme weather disasters across the globe that each caused more than a billion dollars of damage. Ten states in the United States were affected by weather disasters — blizzards, floods, droughts and tornado outbreaks — including, of course, tropical storm Irene here in Vermont. The increase in extreme weather in the past decade is a worrying reminder of what lies ahead, and why we need to build a more resilient infrastructure. For 20 years now the United States has refused to face its responsibilities for mitigating climate change. As I watch the sun set on a clear warm January day, I know we face the somber reality of still more weather disasters in our future.